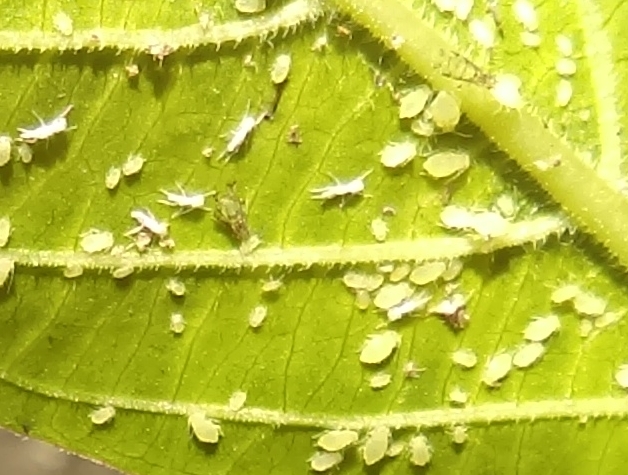 Aphids, You may find them on the undersides of leaves on your bushes and shrubs. 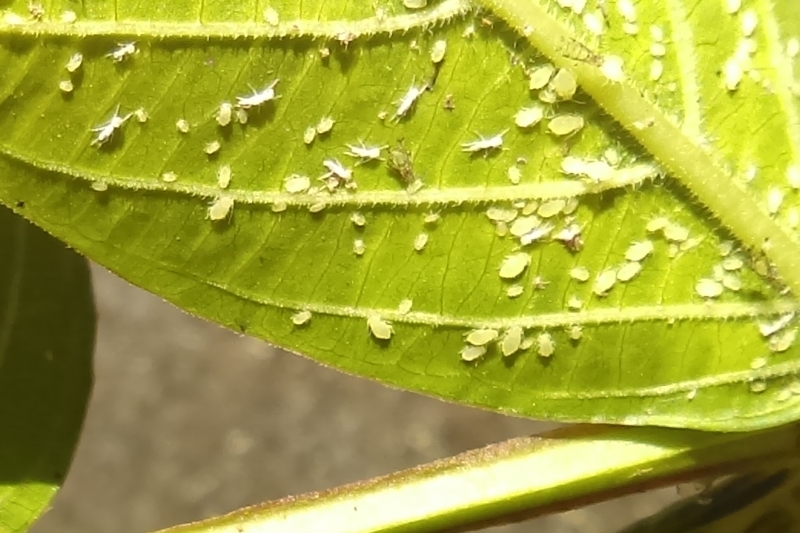 Aphids are an insect parasite that weaken the plant and make it more susceptible to other diseases, this plant had sooty mold as well as aphids. Picture taken right here in Naples, FL. on County Barn Road. 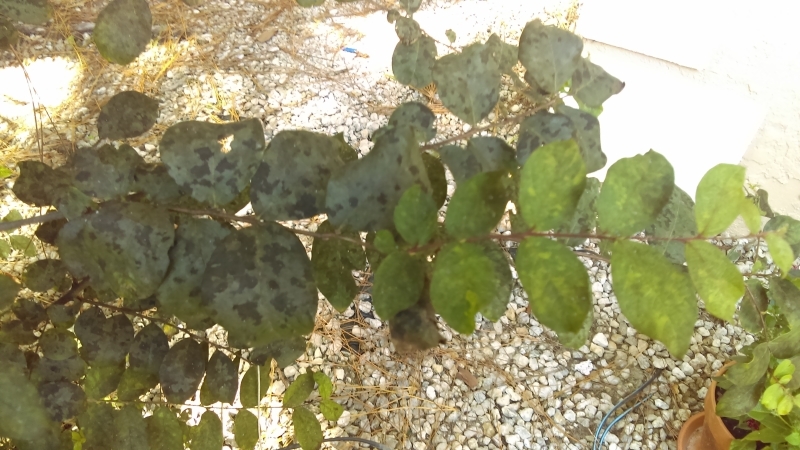 Tip, if you don’t have an infestation yet you can clip off the effected branches, then spray remaining pests off the underside of the leaves with your hose, using med-high pressure. This takes time, one must be thorough and they may come back quickly. Not all bugs on the underside of the leaves are aphids and a lot of these eat aphids so check twice. Here’s the sooty mold on same branch.